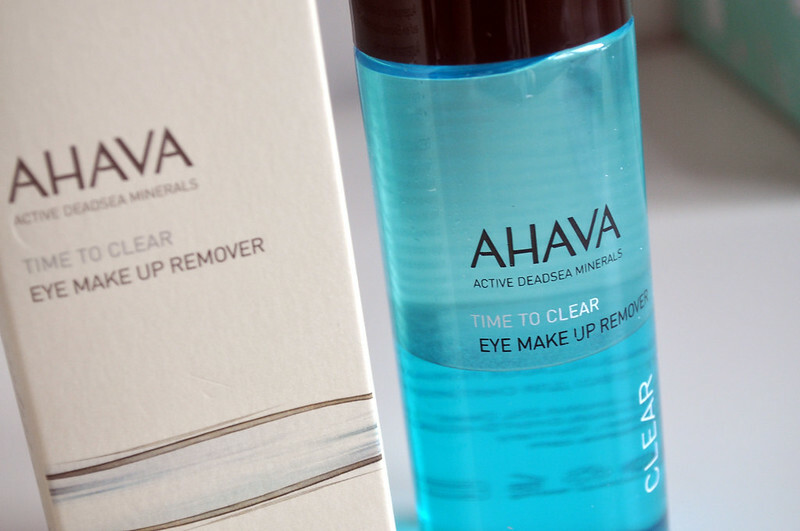 I'm always on the lookout for a new eye make-up remover to try and compare to my favourites. My top three so far are Liz Earle Eye Bright, Mac Pro Eye Make-up Remover and Etat Pur Micellar Cleansing Water. All three take off my make-up very quickly with no effort, leave no residue and don't irritate my sensitive eyes. 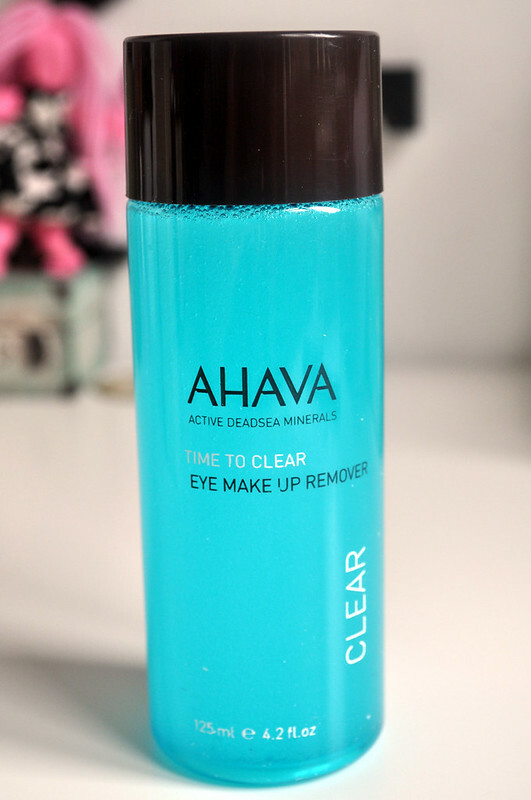 Those criteras and products are what I compare other eye make-up removers to. 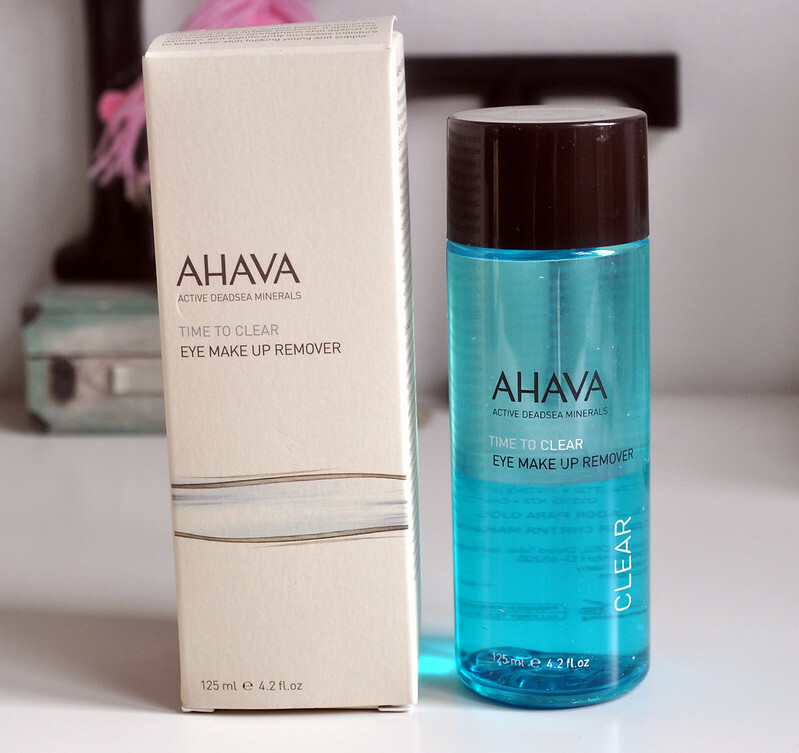 Recently I've been testing this eye make-up remover* from Ahava so thought I'd share what I think. I like the simple packaging and that the liquid is blue, it looks nice on my bedside table. It's fragrance, SLS and paraben free which is perfect for my sensitive skin. 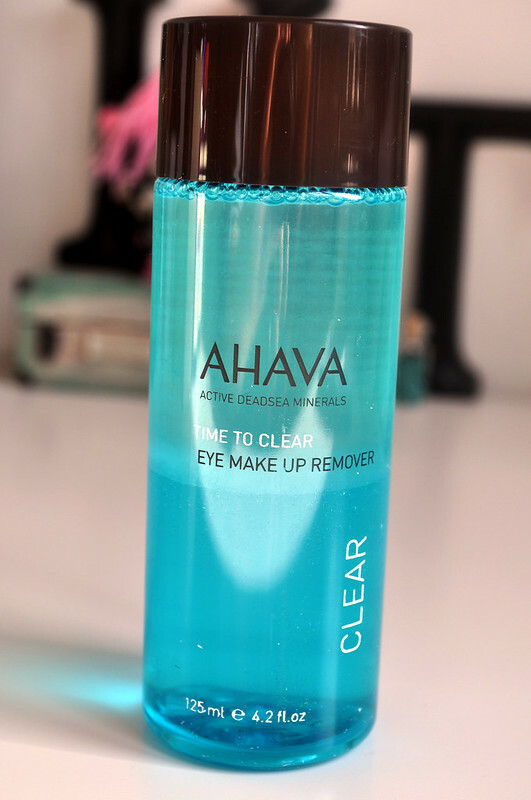 I've used one other remover that you have to shake before using as the oil separates, it was one from Lancome and I really liked it. As the oil separates so quickly you do have to shake it every time you want to use it, even after you've done the first eye which I find a bit annoying. It takes off every scrap of eye make-up so easily. I just pour a bit onto a cotton pad, hold it over my eye for about 30 seconds and then gently swipe away. It does leave a slight residue, not at all greasy, but this sinks into the skin quite quickly and after a minute or two you can't feel anything. It doesn't beat my top 3 but I'd put it in spot 4 or 5. I'll definitely be buying it again at some point. It's £14.50 for 125ml which is a similar price to Liz Earles Eye Bright.